Toshio Mori (1910-1980) was born in Oakland, California and grew up in San Leandro. During World War II, he and his family were interned at Topaz War Relocation Center in Utah, where Mori edited the journal Trek for a year. 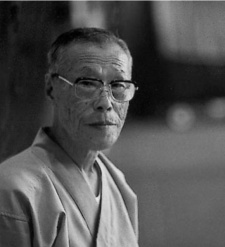 After the war, Mori returned to the Bay Area where he continued to write. He is the author of Yokohama, California (1949), The Chauvinist and Other Stories (1979), and The Woman from Hiroshima (1980).